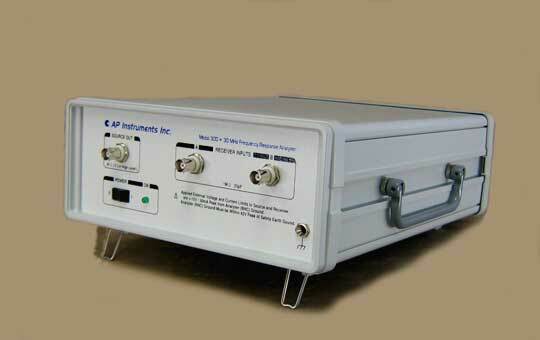 AP Instruments Inc. has been manufacturing Frequency Response Analyzers (a.k.a. Analog Network Analyzers) since 1994. We strive to satisfy the needs of the customer through offering useful and innovative products based on the leading edge of technology. Model 310 Frequency Response Analyzer Available! A new hardware model, the Model 310 30 MHz Frequency Response Network Analyzer with isolated USB interface, is now available. See Products for details on new features.